Palaeacarus hystricinus, copyright Zoë Lindo. 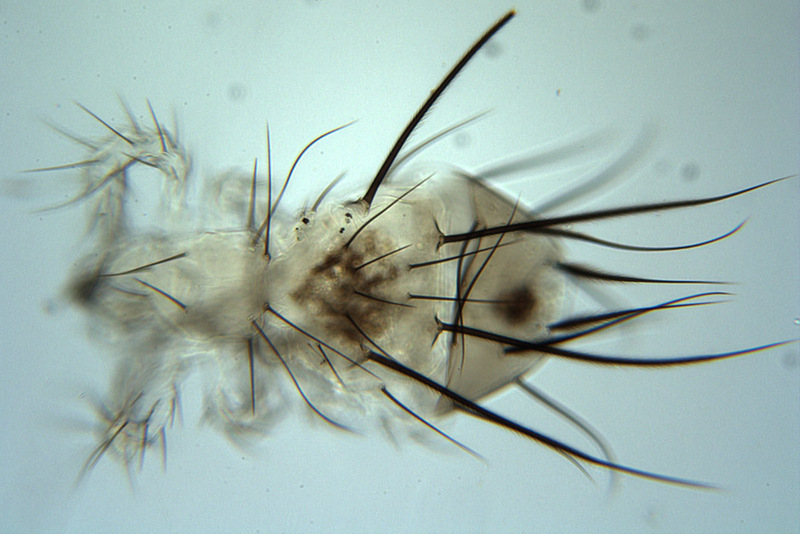 The Palaeacaridae are a small group of relatively soft-bodied oribatid mites known from the Holarctic region and western Australia (Norton & Behan-Pelletier 2009). Characters (from Norton & Behan-Pelletier 2009): Naso absent. 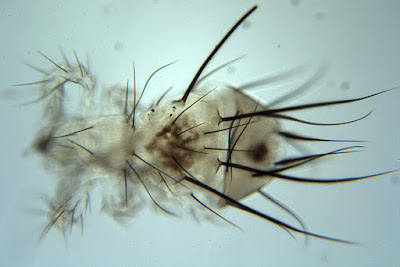 Bothridial seta filiform. Larger exobothridial seta xa situated anterior to other seta xp and usually about half length of seta in. Chelicerae chelate-dentate, oriented obliquely, anteroventrally; digits not narrowed. Anterior adoral seta or1 simple, smaller than others. Subcapitulum without unpaired ventral lip. Palptarsus elongated, at least twice tibial length; distal eupathidia barbed. Hysterosoma moderately elongated with large aesthenic zone. Opisthonotum with distinct pygidial shield bearing all setae posterior to row e. Several pairs of opisthonotal setae large, darkly pigmented, with d2 and e1 largest, erectile; h1 and p1 unusually short, swollen, or spinelike. Cupules present. Most anterior pair of genital setae strongly modified. All genital papillae of normal size. Pretarsi of all legs bidactylous. Famulus of tarsus I large, approximately equal in length to solenidia or only slightly shorter; inserted on conspicuous tubercle in proximal quarter or third of tarsus. Tibia II with one solenidion.